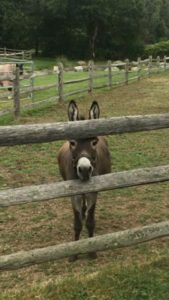 It's time to sign up for camp at Back Bay Farm! Click for more information about our favorite weeks of the year. Horse Boarding Available - Call today! Always wanted to ride? We have horseback riding lessons that are tailored to your needs. We are hosting two horse shows in 2019: June 2rd and August 15th. Click for entry form and more info! Learn to ride and love horses here! 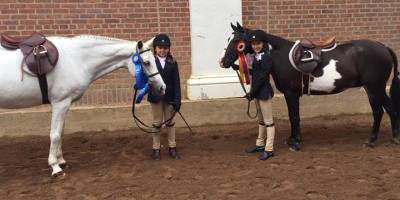 Back Bay Farm is a premier hunter equitation training and boarding stable located in Ipswich, Massachusetts. We offer training, lessons, showing, full board, sales and leasing. Whether you are just starting out or have been competitively riding for years, BBF has a program that is tailored to your needs. New clients are always welcome. Contact us for a visit or come watch a lesson. 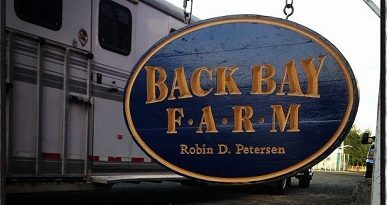 Back Bay Farm, a competitive show stable, attends horse shows throughout the year, all over the east coast. The Back Bay Farm team celebrates each individual success at the in-gate, whether it be a championship ribbon, a super-difficult combination of fences, or finishing their very first lead-line class. Back Bay Farm offers horse boarding and horse training. We are competitively priced for clients with privately owned horses. New boarders are always welcome! What are they saying about Back Bay Farm? I came to Back Bay Farm about a year ago and I couldn’t be happier! Everyone is so welcoming and encouraging that I felt right at home. With Robin and Megan’s coaching I was able to move from timidly jumping cross rails to comfortably showing 3ft. This past year has been a blast and I can’t wait for the future. I’m so happy I chose to come to Back Bay.